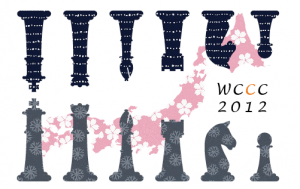 WinChloe 3.20 & latest update of the WinChloe Echecs database! A bug in Anti Take & Make with castles is fixed. I’d like to specially mention the Superguards condition. The inventor of this condition is Seetharaman Kalyan, whom I consider more like a support of the site, than a visitor. I’d like to ask Mr.Seetharaman to tell us something more about this condition! Please! 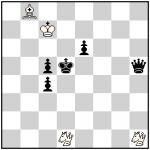 The latest update (as of 12-Sep-2012) of WinChloe Echecs database is available for those, who uses it. The number of problems has increased till 441047! 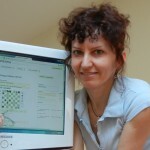 65 of original problems published at juliasfairies.com are added to WinChloe Echecs database as of 12-Sep-2012. 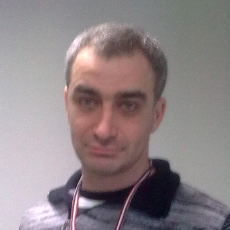 Laurent Riguet records problems since the first version of WinChloe in 1995 (this first version was written in Visual Basic). So, Mr.Poisson gets tables with a new problems or updates to the existing problems from the “support-command” (thanks a lot to all of you!!) and makes a copy from all these tables into Echecs table (the main database) – one by one, using “Copy in another table” option from File menu, adding a “Treatment of the duplicates” – ‘Verify each duplicate‘. Users always criticize programmers – this is something what always existed and will exist I think! 🙂 I’m sorry about it.. I do the same thing from time to time, but the same time I’m impressed about such a big permanent work and I’m saying “Thank you!” to Christian Poisson and to those who help him in this huge project! Welcome home to those who were going to Japan! I believe you all had a great time there! took place from September 15th to September 22th, 2012. I’d appreciate if you send me to julia@juliasfairies.com more Awards for the site to add! Bon voyage to those who are going to Japan! And Good luck in WCCC2012 tourneys to everyone! takes place from September 15th to September 22th, 2012. See many composing tourneys at Composing tourneys of the WCCC2012 site!